This month, b current performing arts launches Black Future Month with an intimate evening of conversation and celebration. Featuring former VP of Advancement at TIFF maxine bailey, along with Aba Amuquandoh, community members will be invited on stage to discuss what Black Future Month has in store for them, what excites them, and what challenges they are eager to face. Join in to acknowledge the countless contributions of the Black community in Toronto. Bring your appetite too: Handmade Cubano sandwiches and side dishes will be grilled onsite by Artistic Director Catherine Hernandez. 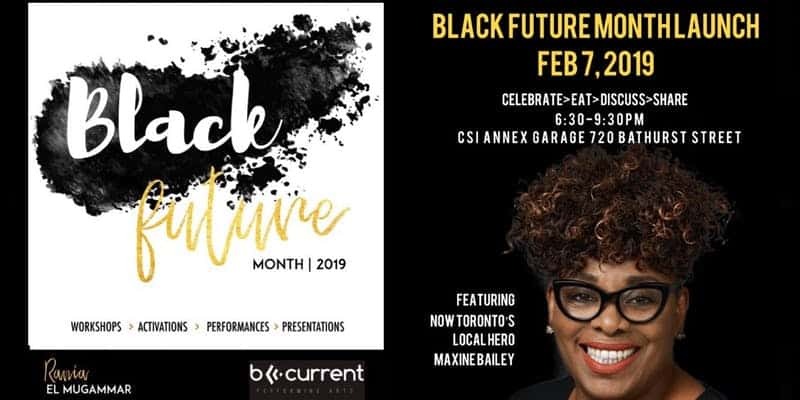 Black Future Month Launch is happening at CSI Annex (720 Bathurst St) on February 7 starting at 6:30 p.m. Get your tickets here.